We manufacture any size wood window sash or wood transom, Hopper Window Units, Single Hung Window Unit, Fixed Window Units and screens that you request. Our Sashes and Transom windows are built for sheds, barns and stables.Our windows can also be used for homes on interior walls. In addition we do manufacture wood window sashes, non-operating, operating units and transom windows for inside the home for decoration purposes only. We now offer clear tempered glass or colored tempered glass. Coastal Windows & Exteriors has more than 20 years’ experience in the home improvement industry. After witnessing many positive & negative experiences David Vanderbilt decided to create a business known for its customer service & quality workmanship. He knew that a home improvement company that did everything the right way would stand out & earn respect as well as repeat & referral business. He also knew the perfect person to own the company – his wife. When David asked Stephanie if she wanted to own the business, it was a difficult decision. She had a great career as a Teacher of the Deaf. As a Teacher of the Deaf, empathy always has come naturally and was the core to her career. She always took things an extra step. It wasn’t enough to just help students communicate better, she worked with the peers as well as the teachers to understand what it was like to be deaf and how best to communicate with them. Thus in turn, the students could better accept & embrace their deaf identity. Stephanie, eventually left teaching. Coastal Windows & Exteriors became her full-time ‘empathy outlet.’ Simply satisfying the customer would not be enough. Instead, they would create an experience that ‘wowed’ customers, had them raving to others & make them loyal, lifetime customers. 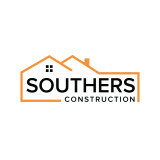 Coastal Windows & Exteriors delivers quality workmanship EVERY day for EVERY job. This coupled with a focus on education & empathy has led to a successful & truly exceptional customer service-based business. Whether you’re building a new West Newbury home, remodeling an old one or just replacing a few windows that are past their prime, your window dealer in West Newbury, MA will help you pick the right windows for your needs, home style and budget. Windows come in so many sizes and types that expert advice and direction is invaluable in helping you make the best decision. These pros can also help you with custom window designs that complement your space better than something ready-made. Lastly, if you are interested in doors with windows, these experts are also knowledgeable about sliding doors, French doors and other paned portals. Find a window dealer on Houzz. 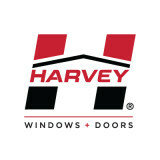 Narrow your search in the Professionals section of the website to West Newbury, MA window dealers. You can also look through West Newbury, MA photos to find examples of windows that you like, then contact the window professional who worked on them.